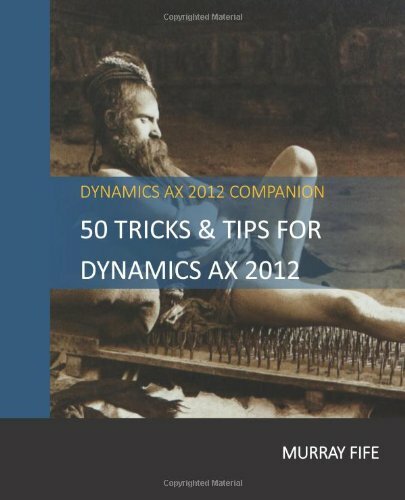 Although we would like to be sitting in front of Dynamics AX all the time, it’s usually just not the case because we’re travelling, or just away from our desks. All that time, people may be setting up meetings for you, assigning critical tasks, or updating contact information that maybe you will need. 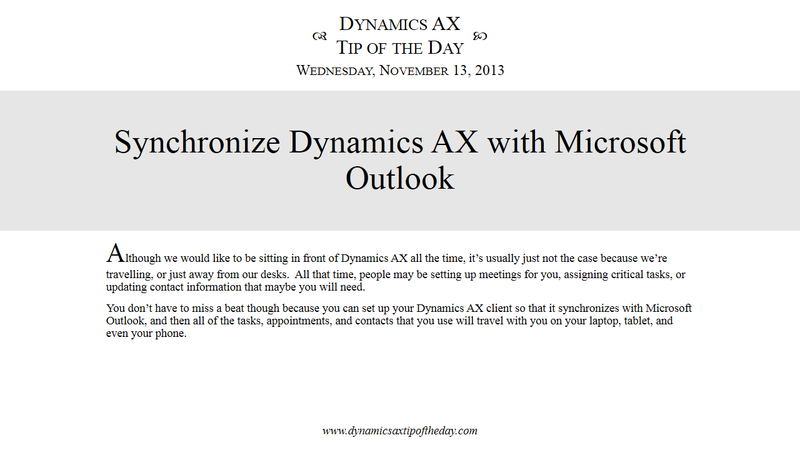 You don’t have to miss a beat though because you can set up your Dynamics AX client so that it synchronizes with Microsoft Outlook, and then all of the tasks, appointments, and contacts that you use will travel with you on your laptop, tablet, and even your phone.